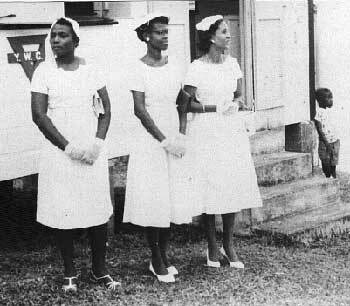 YWCA in ST.Vincent started by one of the ladies in this picture. I hope to have some more info on this at a later point in time. I understand that these ladies were waiting for a Royal visit. Thanks to Darnley Dublin who submitted this photo.